Dr. Rock's Blog & Roll: Album of the Day: Syd Barrett (1/3/70) 40 Years! Album of the Day: Syd Barrett (1/3/70) 40 Years! 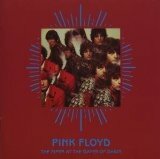 Syd Barrett founded Pink Floyd, played lead guitar and wrote most of the material on the band’s highly regarded first LP, 1967’s The Piper At The Gates Of Dawn. But beneath the melodically playful acid-based pop-rock of his music was a tormented psychotic whose freewheeling LSD use contributed to mental degradation and ouster from the band in 1968. Barrett recorded two solo albums before he tripped into seclusion for over 30 years until his death from cancer in 2006. 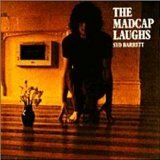 Released on January 3, 1970, Barrett’s first solo album, The Madcap Laughs, was engineered at Abbey Road Studios in two disjointed sessions, one in mid-1968 and the other a year later. Barrett’s nonsensical lyrics and acoustic guitar were laid down first, with session musicians and members of prog-rock group Soft Machine forced to provide overdubs based on Barrett’s increasingly whimsical and difficult direction. The result is a grab bag of sunny pop psychedelia and dark acid rock, a bit tough to follow at times but a period gem nonetheless. Although Roger Waters and David Gilmour fired him from his band, they nonetheless were invited to produce parts of The Madcap Laughs. And they saluted Syd on their 1975 release, Wish You Were Here. The Madcap Laughs available as a CD on Amazon (click here) and download tracks on iTunes (click here).